Welcome to Vietnam, coming not only for gracing the stunning landscapes but also you should try unrecognizable food; sampling anything and everything even though you have no idea what it is, let alone if it’s an animal, plant or bean derivative. 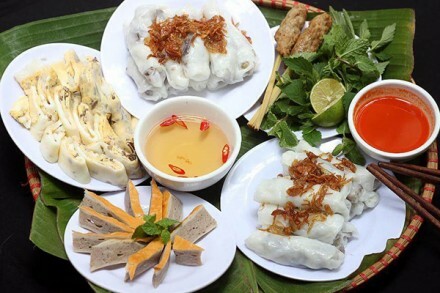 Vietnam has three regions like Northern, Central, and Southern which are famous for many specials. Nowadays, we can more understand the second area and make the decision in the holiday. The hot Centra Vietnam packages 2018 will be offered detailly by Travel Sense Asia. 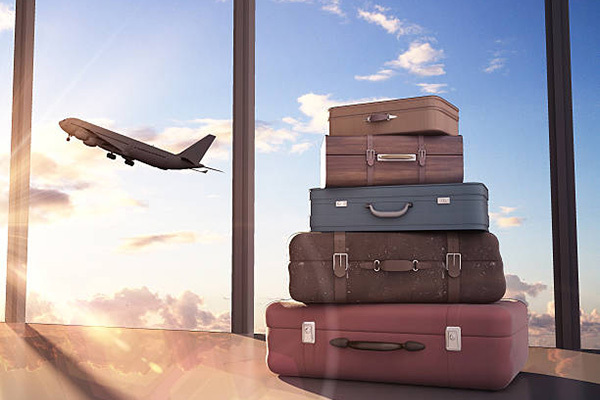 First of all, you need to prepare the visa, passport and any important documents before coming to the airport. After that, you should search the forecast weather to bring the luggage. Central Vietnam’s areas include Hoi An, Da Nang, and Hue. 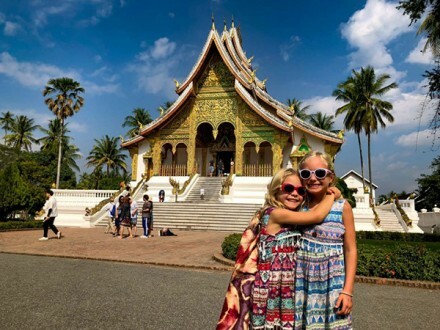 Coming here in the period between April and September, this region has to rains from the southwest monsoon by the mountains, which means you can expect sunny days during these months. Unfortunately, it falls between September and December, coupled with the typhoons from the Western Pacific. 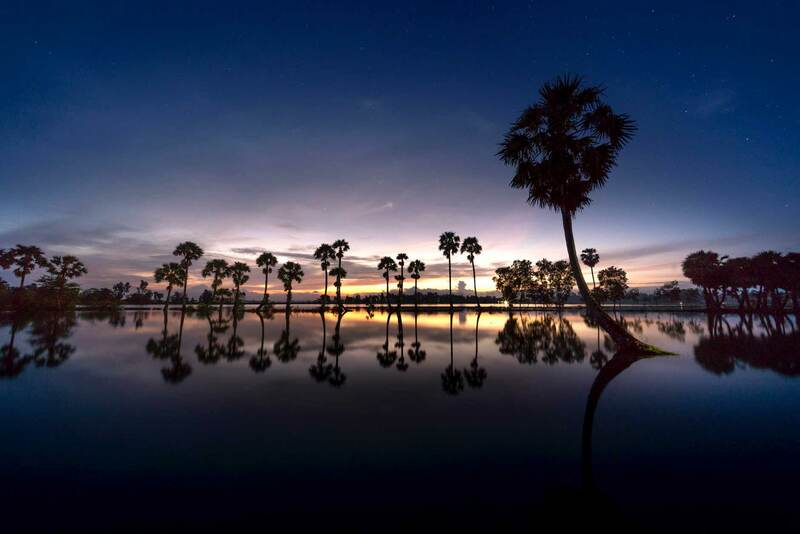 Therefore, the best time to visit central Vietnam is from April to August in order to experience in the sunshine and blue skies with pleasantly hot temperatures. Spending 5 days on traveling almost places in the Central region, it is believed that you will get the awesome trip. You can choose one of the two international airports are Noi Bai in Hanoi and Tan Son Nhat in Ho Chi Minh to arrival at Hue airport. Hue is one of the main cultural, religious and educational centers of Vietnam. Tu Duc’s tomb is the most popular and impressive of the royal mausoleums. It is constructed by many tombs and the forced labor. Hue owes its charm partly to its location on the Perfume River with the atmosphere. Next, you should visit The Imperial Citadel which built in the 11th century. This place shows a unique South-East Asian culture specific to the lower Red River Valley. Of course, it is influenced by coming from China in the north and the ancient Kingdom of Champa in the south. 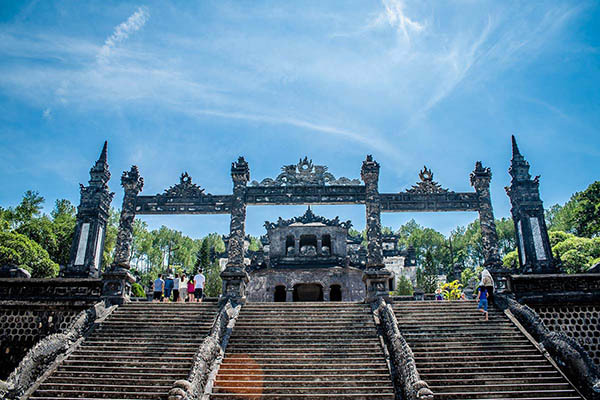 For long years, Hue is surrounded by ancient tombs of emperors past so your couple can visit some of these tombs will be on the itinerary for today. For example, the charming Lady Pagoda (Thien Mu Pagoda) will be the first stop of the day. Located on the converse of rivers, and it gives you a great view of the Perfume River and surrounding area. Next, Thien Mu Pagoda (or called Heaven Fairy Lady Pagoda), which is built on a hill overlooking the Perfume River, 4 kilometers Southwest of the Citadel. Of course, Thien Mu Pagoda is one of the most fascinating and ancient pagodas in Hue city. In the evening, you can enjoy the Hue Royal specialty and music by joining one of the boat trips along Perfume River. You should enjoy the two kinds of music: “Dai Nhac” and “Nha Nhac” which developed from the ritual music under Le and Nguyen dynasty. After finishing the breakfast, you will pass through the wonderfully photogenic fishing village of Lang Co at the foot of the Hai Van Pass. 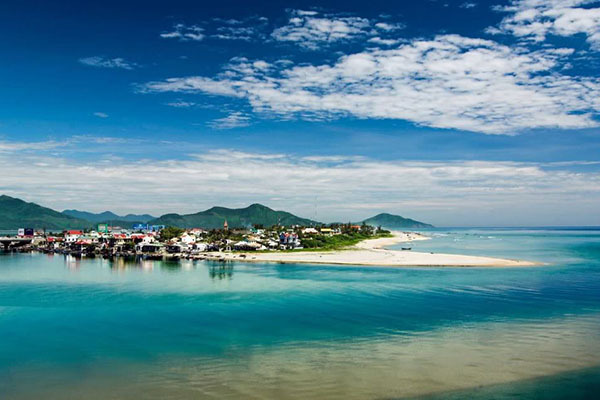 Lang Co beach is an attractive island-like stretch of white sand. Smooth sloping white sandy beach, turquoise blue clear waters, endlessly hills and mountains create such a charming landscape. The villagers are warm, hospitable and simple-minded. The seafood is fresh and delicious. For example, various kinds of shrimps, lobster, sea shrimp, crab, butterfish, mackerel fish, oysters, etc. It promises to be an ideal spot for all kinds of beach activities. Take on board along Huong river watching Bao Vinh old town which hosted a busy port in the 18th century, had 39 old buildings standing at the end of the American War. 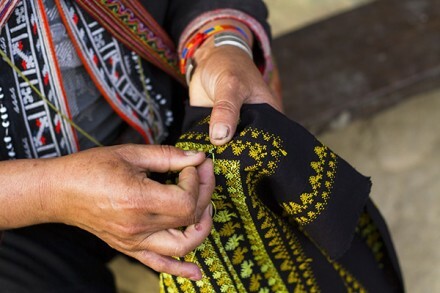 You should stop in Sinh Village where traditional painting handicraft has been practiced for hundreds generation and get a chance to meet the artisans and learn more about their age-old techniques. One of the most attractive destinations in Central Vietnam packages 2018 is Hoian town. You will visit the 400-year-old Japanese Covered Bridge which reflects a Chinese communal hall, and the colorful market. It is an invaluable property and has officially been established as the symbol of Hoian. It was constructed by the Japanese then living in Hoian to across the water. The Fujian Assembly Hall, which bears all the fundamental features in the structure of a Chinese Assembly Hall, is believed to be built by Chinese merchants of the Fujian Province. In this afternoon, you will have an experienced tour of the Lifestart community which is a non-profit charity organization. Especially, you will learn life skills through handicraft. The mission of this tour directly supports disadvantaged of members in the community. At the end of the session, you will be able to keep your own handmade card as a souvenir. Or, you can buy the handicraft souvenirs for your family and friends. 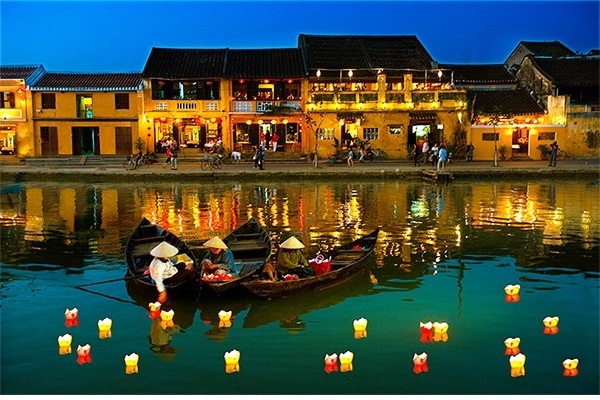 Hoian traditional lanterns are very famous and attractive foreigners by the beautiful charm of houses and streets. Otherwise, if you want to have more experience on the trip, you should rent a bicycle is an excellent way to get around as it’s cheap and easy to park. 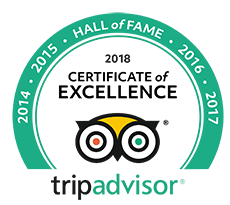 Coming here, you should taste many traditional foods such as chicken rice, Cao Lau, bread, pancake, tea and so on. The national dish and a daily staple are Pho Soup; a watery mixture of chicken or beef broth combined with ginger, spices, and sliced meat. And you shouldn’t miss Cau Lau in Hoian, which made by the rice has been soaked in water from a special, with lye sourced from local tree ash. There are fresh juices found all over Vietnam, young coconuts that will cost you less than a dollar and an entire assortment of herbs, spices, and condiments. You should book a tour to My Son Sanctuary, which is one of the most sacred places in Vietnam. As a result, your tour guide will talk to you the historical stories of My Son Sanctuary. Vietnam’s most important site of the ancient kingdom of Champa is My Son Sanctuary. 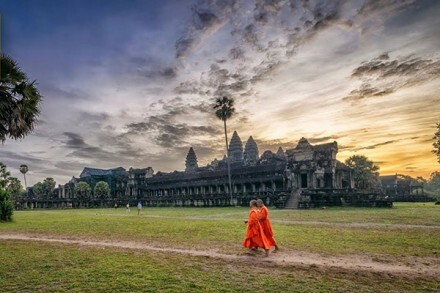 Recognized as a Cultural Heritage site by UNESCO in 1999, My Son is an attractive destination for both of domestic and international tourists to visit and learn about the culture and history of Champa Ancient Kingdom. It includes many Champa temples surrounded by two mountain ranges. This place was also a burial place of Champa royals and national heroes. 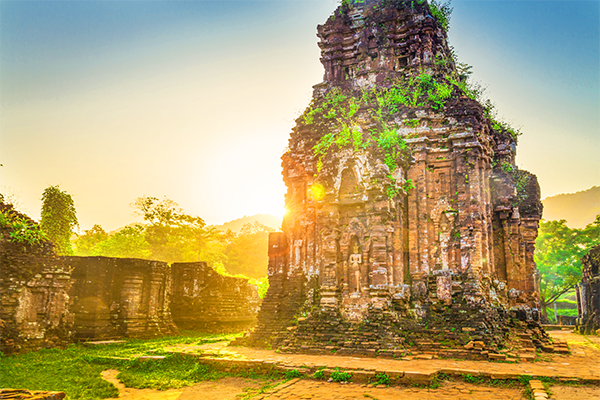 The My Son temple complex is the foremost heritage site of this nature in Vietnam. Actually, it has been destroyed for a long time, you still see many majestic ancients of temples in the area. Continue the Central Vietnam packages 2018, you go to Cua Dai beach for some sun and sand. You just spent hours lying on the sandy beach, listening to the sea breeze and the sound of waves or playing the favorite sports, creating a private space by drawing in the sand, building and towers. There will also be time for seafood specialties in an ideal environment of immense sky and sunshine. Then you will come to Danang city and enjoy the beautiful views on here. Danang is one of the cultural and educational centers of Vietnam which is located along Han River. In the evening, one of the most popular activities is walking to Dragon Bridge which is a special bridge in Danang. However, to grace the particular you should come to there before 9:00 p.m. Dragon bridge is built over the Han River. Fire-breathing in 2 minutes and water breathing in 3 minutes are breath from the dragon on the bridge. It is very attractive for the sight of foreigners. In the morning, My Khe is worldwide known as one of the most beautiful beaches in the world which are always welcome you with all harmonious facilities supplied for tourism. 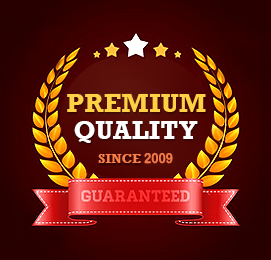 It is convenience in the swimming or and some activities like diving, water-skiing, diving, and race activities. It is time for you to sunbathing under the sunny, nice wave, cool water, and fresh air. Moreover, you approach the life of local by seeing the fishermen do their work. Besides, you should try many special kinds of seafood like shrimp, crab, squid, and abalone. You should spend free time on the relax before coming to the airport. For a long experienced year in traveling field, the plan for this trip is hot Central Vietnam packages 2018.